Dried fruits: inca berries, acai, cherries, goji, blueberries, cranberries. (1-3 tsps in each paper patty pan) It’s possible to obtain dried fruit with NO additives such as vegetable oils or fruit juices, but you have to read labels carefully. Melt cacao butter and coconut oil over a low heat in a double saucepan or put bowl in oven for short time. Note: the idea is to melt the oil, not cook it. Don’t heat any more than is necessary. Definitely do not boil. Sitr the cacao powder into the melted oils. Allow the chocolate oil mix to cool but not harden, stirring intermittently. This helps to allow the cacao powder to be remain distributed well though the oil mixture (it’s called tempering). 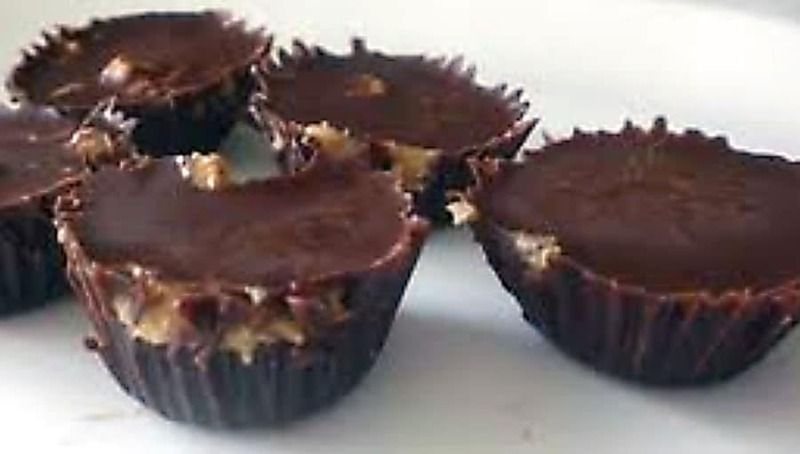 Add whatever other flavours/ingredients to each patty pan, for example, I might put 1 tsp crushed coffee beans, 2 teaspoons coconut sugar, 2 teaspoons nut butter of choice, 2 teaspoons crushed nuts of choice, for my mocha/nut chocolate. Use a fork to mix the ingredients of each patty pan to cover everything with chocolate-oil mix and distribute ingredients around patty pan.